In a word… multifaceted. Juno-nominated Dylan Bell’s affinity for music was discovered early, when his parents realized he could sing in tune at three years of age. They realized he had perfect pitch, and soon enrolled him in classical piano and violin lessons. At the age of twelve Dylan moved to the cello; in high school he discovered the guitar, bass, and drums, and began directing and arranging music for the school’s vocal jazz ensemble. He then went to York University where he studied piano, bass, percussion and conducting. He received his BFA in music in 1995, his B.Ed and OTC from the University of Western Ontario in 1997, and his M.Mus at University of Toronto in 2014. Since he first discovered his parents’ eclectic Beethoven-to-Bob Dylan record collection, Dylan’s musical curiosity has kept him effortlessly crossing and blurring musical boundaries. Dylan is a mainstay on the Canadian music scene, having sung with many of Canada’s premiere vocal ensembles such as Cadence; Hampton Avenue, the Nathaniel Dett Chorale, The Watch, the eclectic FreePlay Duo, and the 1980s-era vocal pop group Retrocity. When he’s not singing, he freelances as a keyboard player and bassist, working with varied artists from world-music’s Autorickshaw, to veteran rockers Honeymoon Suite, to his own Police tribute band, Synchronicty III, as well as studio and theatrical work. Behind the mixing board, Dylan has produced or engineered several award-winning albums, including a Juno co-nomination as Best Engineer for the Cadence album “Twenty For One”; “Ferris Wheels” with the world-renowned Swingle Singers from London, England; and “Skin Tight” with the a cappella legends The Nylons. 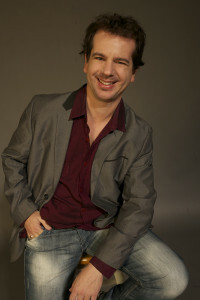 Dylan’s work as a composer and arranger has garnered international recognition, as winner of the John Lennon International Songwriting Competition (Best Jazz Song, 2005), and a Contemporary A Cappella Recording Award (Best Original Song, 2006). His vocal arrangements are sung worldwide from Arnprior to Zurich. His choral compositions can be heard in such varying contexts as the Victoria Scholars, the Canadian Chamber Choir, and Cadence, as well as several American and European choral ensembles. Dylan is also in demand worldwide as an instrumental teacher and vocal/choral clinician. Dylan has given masterclasses at the International Association for Jazz Educators, the Brhaddvani Institute in India, numerous colleges and universities, as well as community choral workshops in Canada, the U.S., Europe, Africa and Asia. Dylan is also a published author. His work “A Cappella Arranging,” co-written with Deke Sharon, was published in 2013 and is considered an authoritative text on the subject. It is featured in the movie “Pitch Perfect 2,” and used as a teaching text in several universities.